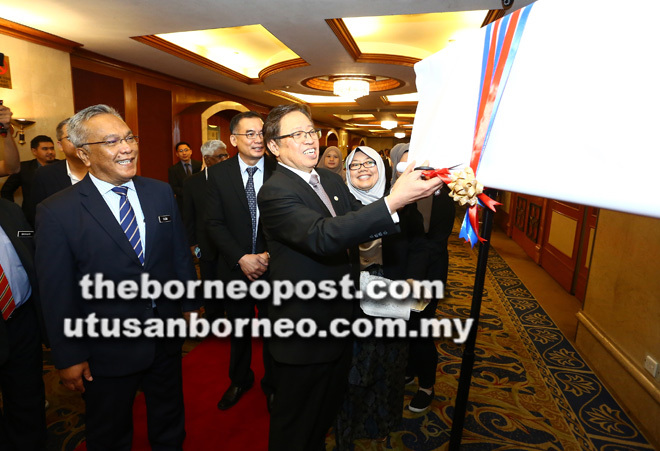 KUCHING: Sarawak needs to take risks if it wants to move forward in today’s fast paced digital era, says Chief Minister Datuk Patinggi Abang Johari Tun Openg. However, he acknowledged that embracing risk-taking does not mean doing things recklessly. “When it comes to new discoveries, there is always a risk so this is where we have to keep ourselves abreast with the latest technology,” he said at the opening ceremony of the 11th International Unimas STEM Engineering Conference (EnCon) 2018 at a leading hotel here yesterday. Citing his recent announcement on hydrogen fuel cell buses which are expected to debut on the roads of Kuching City by March next year as pilot vehicles for the state as an example, Abang Johari said this project no doubt has its risks and this is where research and development come into play to ensure that the project follows through. He is also aware that the decision to provide hydrogen fuel cell buses has raised a few eyebrows, including drawing comments from Deputy Domestic Trade and Consumer Affairs Minister Chong Chieng Jen and Bandar Kuching MP Dr Kelvin Yii. Abang Johari cuts the ribbon to declare open i-STEEx as Mohamad Kadim (left) and others look on. As such, he said conferences such as EnCon, which gathers science and technology experts from around the world here, enabled the state to gain new insight in science and technology. He also noted that the Fourth Industrial Revolution also requires “very creative and innovative people”. Abang Johari later witnessed the exchange of memorandums of agreement (MoA) and memorandums of understanding (MoU) between Universiti Malaysia Sarawak (Unimas) and several industry players including CMS Cement Industries Sdn Bhd, Construction Research Institute of Malaysia, Department of Mineral and Geoscience Malaysia, Press Metal Bintulu Sdn Bhd and Samalaju Downstream Sdn Bhd. Unimas together with the Ministry of Education, Science and Technological Research and Sarawak Education Department is hosting the two-day conference which brings together research topics concerning the latest technologies. 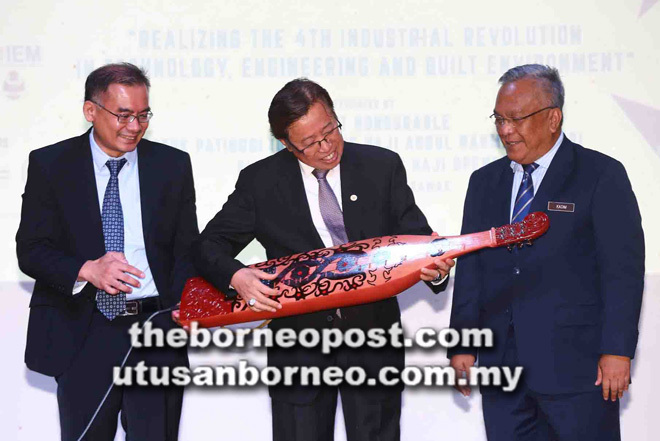 Themed ‘Realising the 4th Industrial Revolution in Engineering and Built Environment’, EnCon allows the Sarawak government through agencies such as the Ministry of Education, Science and Technological Research to work together with Unimas to help deal with issues and shortcomings and shape the direction of the state in promoting STEM education and new technologies for the benefit of the people of Sarawak. The conference also features an International Science and Engineering Expo (i-STEEx) to showcase the latest innovation and research projects by secondary school students, higher learning institutions and the industries.